The fall season brings colder temps, buckets of rain, and seemingly endless flurries of snow, in addition to shorter days and the changing color of the leaves. All of which are perfect excuses to bundle up and stay close to home. With so much QT being spent at the house it's more important than ever to deck out every nook and cranny, including the front door, in the season's best. 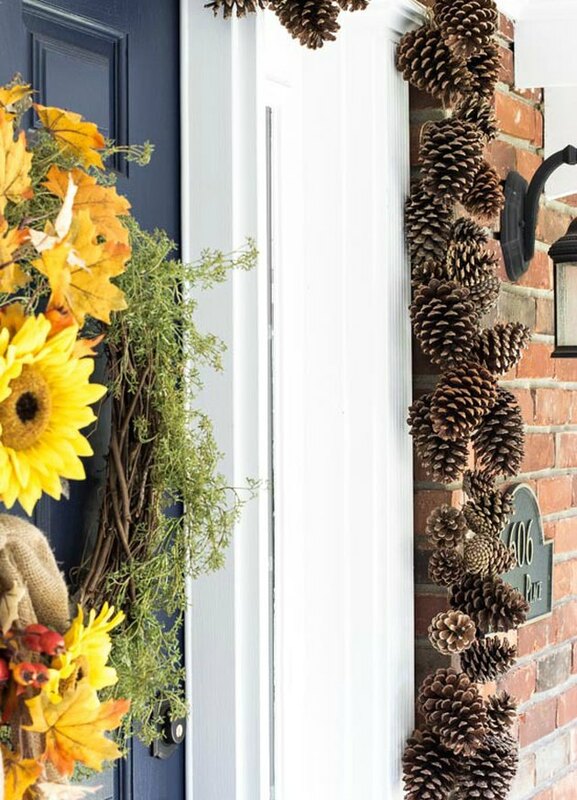 Here are 14 fall door decorations to brighten up your home's entrance, on even the gloomiest days, without breaking the bank. 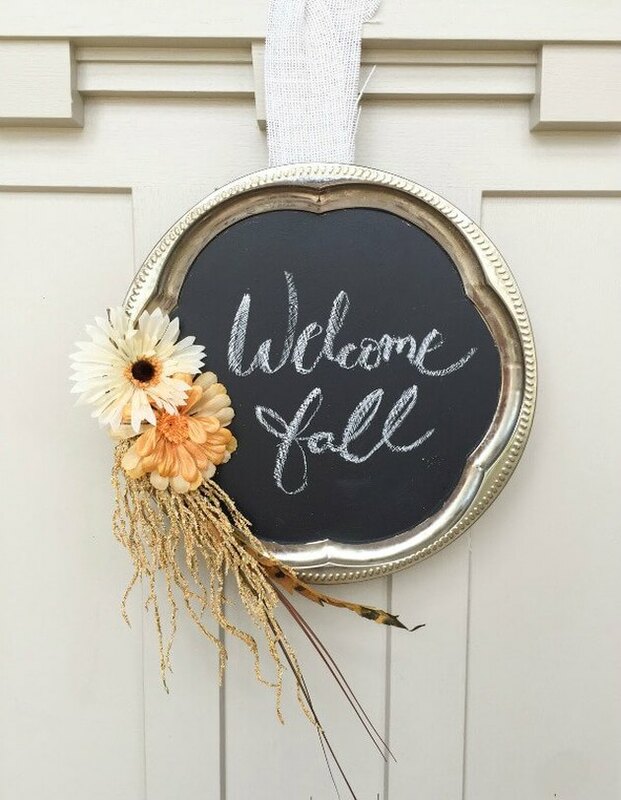 There's a reason why floral wreaths are so popular in the fall — they're gorgeous, easy to hang, and just feel festive. 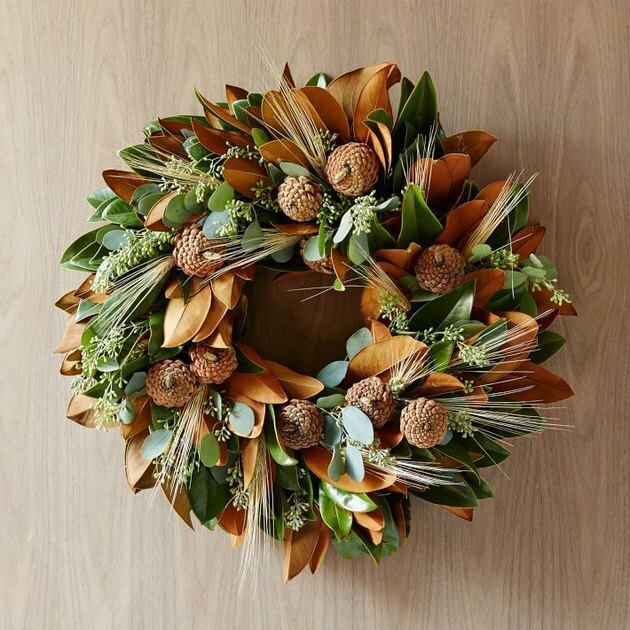 This autumnal stunner, for example, made from magnolia leaves, pine cones, wheat, and eucalyptus leaves is bound to lift the spirits of anyone who crosses the threshold. Plus the smell is intoxicating. 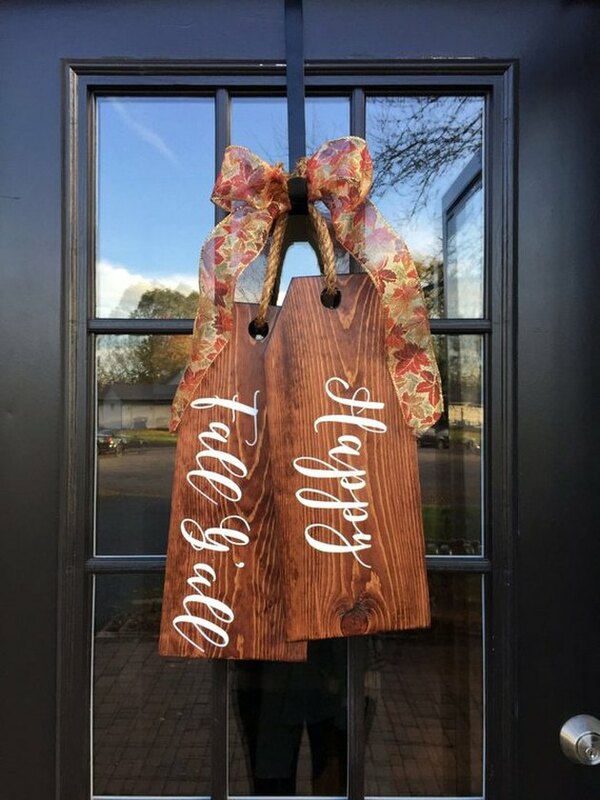 Even though you can find many different fall door decorations on the market, it's not as fun or rewarding as making your own. If you're feeling up to the challenge, save your cash and DIY this earthy autumnal wreath that will instantly transform your front door. We just can't get enough of this rustic arrangement. 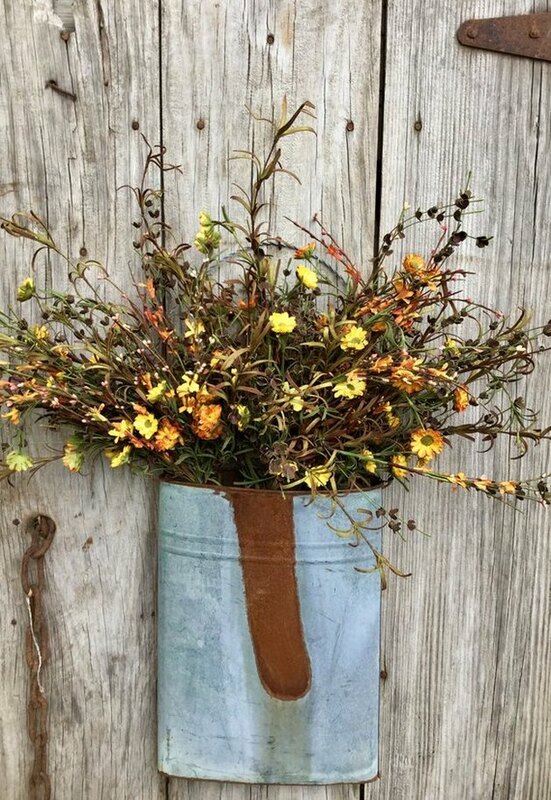 Made with fall wild flowers and a rusty tin wall pocket, it's a picture-perfect way to welcome guests into your modern farmhouse. If you're looking for something a bit more unexpected, consider making this burlap sack full of fresh blooms by Vanessa from At The Picket Fence. 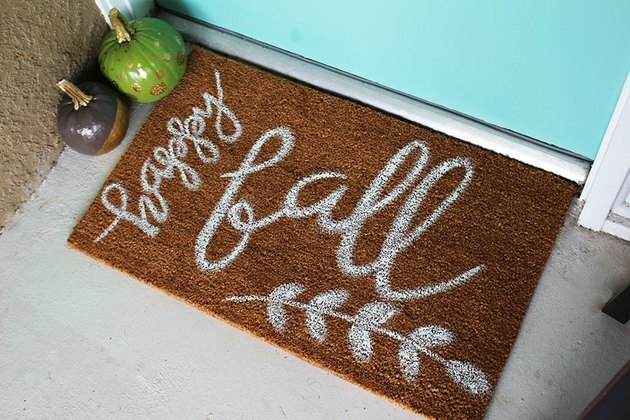 It's a nice, whimsical way to show your love for everything that fall brings. 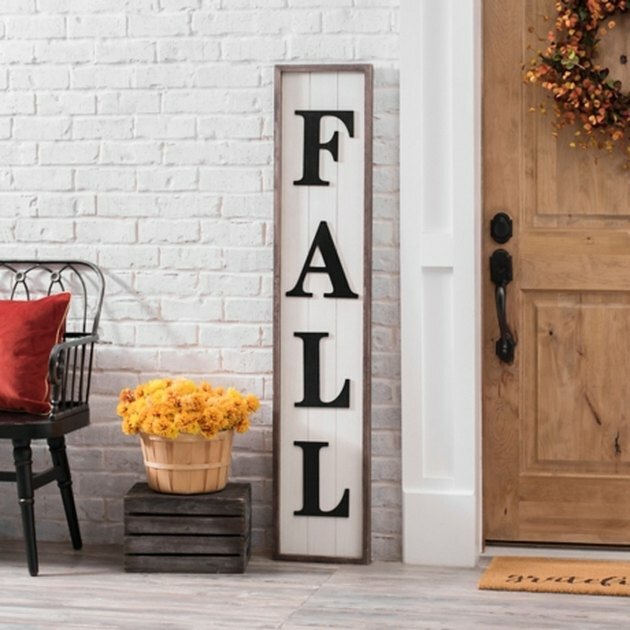 Express your love of fall with these giant door tags. They are stained, hand-painted, and sealed to ensure that they will last for more than one season. Topped with a cute ribbon in bright colors and hung by jute rope, they're an ideal representation of how beautiful fall can be. Knock, knock! (Sorry, we couldn't resist.) 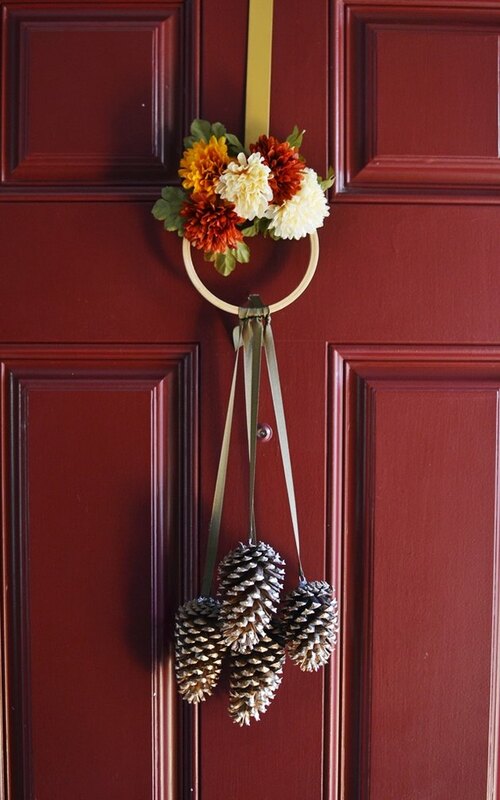 Add a little spice to your life and your front door with this DIY pine cone knocker from Lynet over at The New Wittys. We just can't help but smile every time we look at this handmade doormat. Not only does this charming rug greet guests in style, but also the 100 percent natural coir material will help keep outdoor elements, like mud and dirt, outdoors. Or, DIY your own unique doormat like Elizabeth and Ryan from Within The Grove to turn your front door into a seasonal masterpiece that is bound to draw attention. Who needs to carve pumpkins when you have this festive sign hanging on your front door? It's the perfect way to welcome the fall season. If you love writing on chalkboards, you should consider DIYing this door sign by Sara from Twelve On Main. You can write a welcome message or you can leave a small piece of chalk on your front porch and write something new and inspirational every day. Pro tip: Faux flowers will last longer and are less susceptible to the elements. 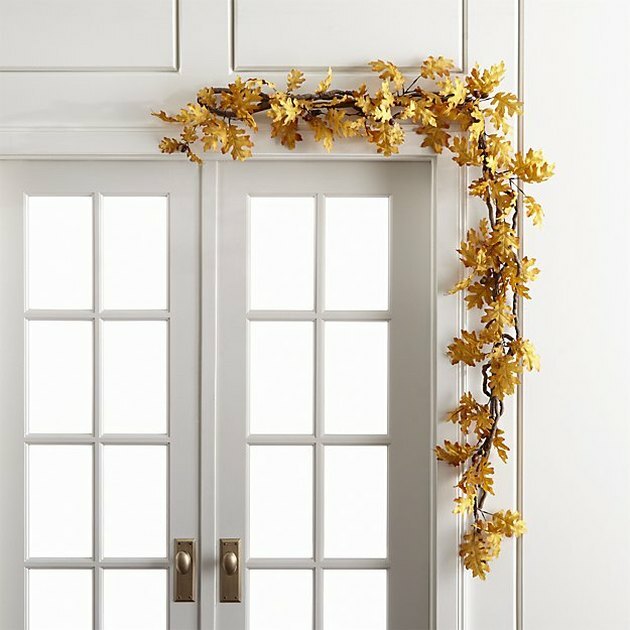 To truly transform your front porch, drape this festive fall-inspired garland around your doorway. The oak leaves in autumnal hues will be absolutely picturesque, and your Insta profile will thank us. 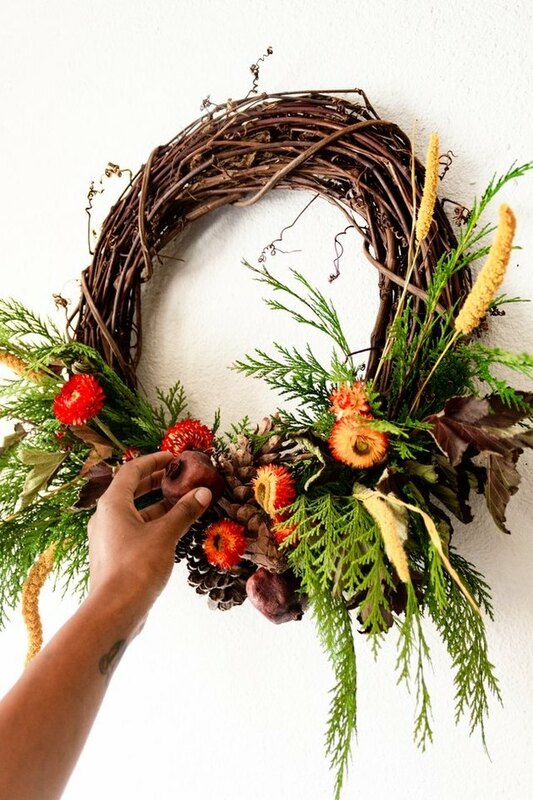 If you (or your neighbor's yard) is full of pine cones, then this garland DIY is a no-brainer. 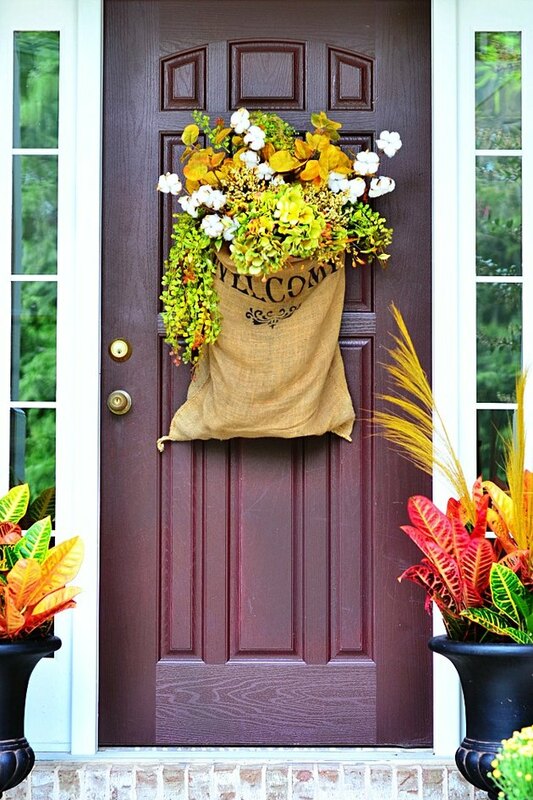 Plus it will give your doorway a rich, earthy vibe that will make the neighbors stop and stare. 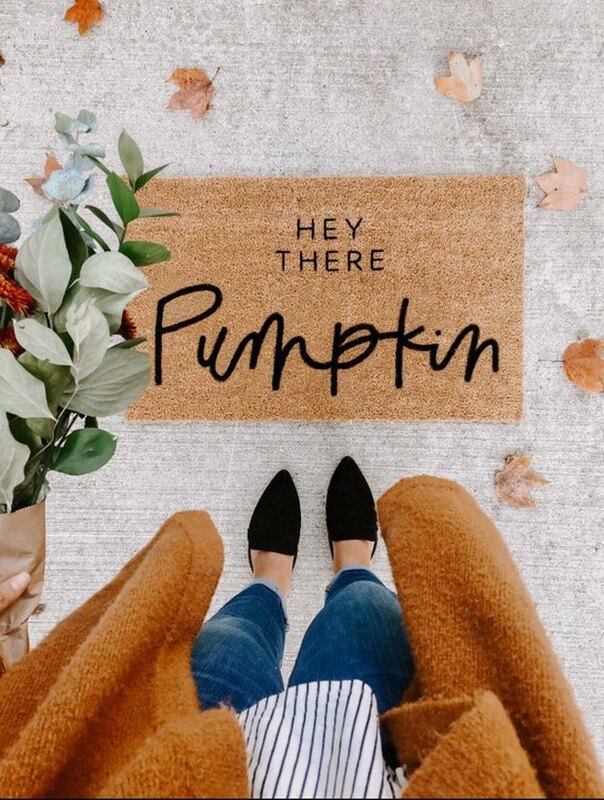 Just in case the assortment of mini pumpkins displayed on your porch isn't enough fall door decoration for you, try adding this plank sign to your collection of seasonal decor. Whether you hang it or lean it against the wall, it will definitely make a festive statement. Or save your hard-earned cash, and make one instead. 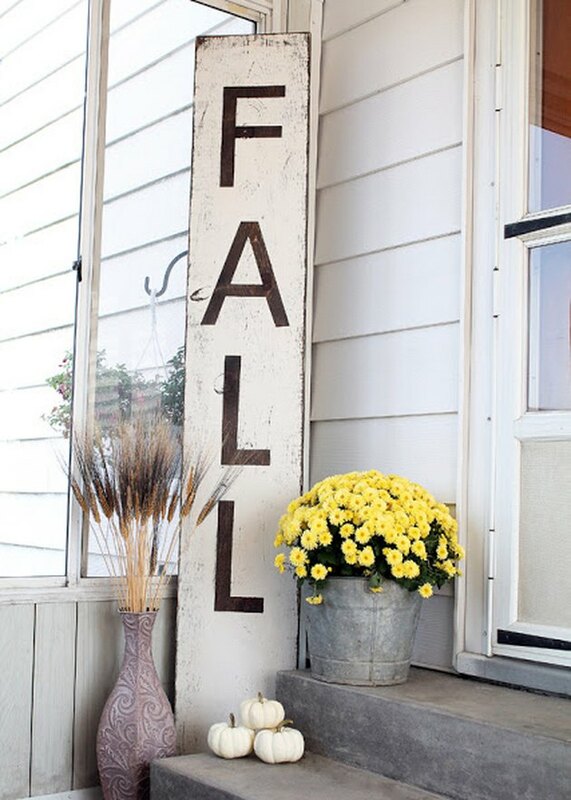 You can easily DIY this distressed fall sign. 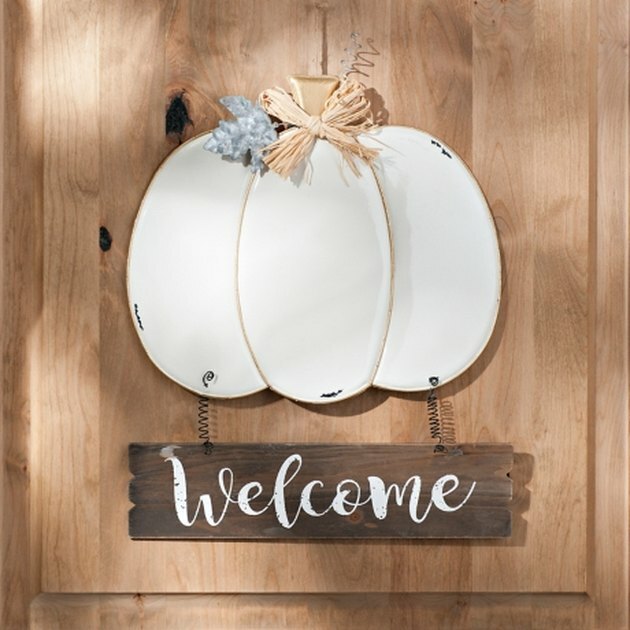 And according to Liz from Love Grows Wild, "Depending on what supplies you already have at home, signs like this can be super inexpensive to make."